Health gap between developed and developing countries: Does globalization matter? Whilst there is a rich body of literature linking globalization with economic disparities between rich and poor nations, there is very little situated understanding of causal links, if any, between globalization and health gaps between nations. 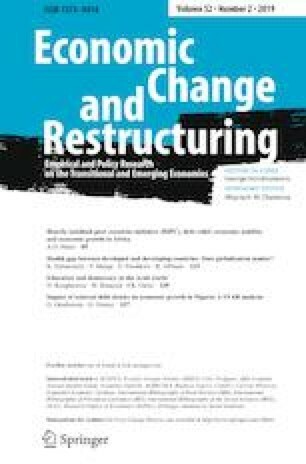 Set against this background, this paper contributes to the empirical literature by investigating globalization as a channel of the health gap between countries in Organization for Economic Co-operation and Development (OECD) and Sub-Saharan Africa (SSA). Results from a dynamic panel data analysis show that globalization has statistically insignificant impact on the health gap between the OECD and SSA countries. Rather, economic and demographic structures, measured by the age dependency ratio (% of working-age population) and GDP per capita growth emerged as the main determinants of the health gap between SSA and OECD countries. The paper draws out some policy implications which may usefully impact programmes aimed at checking health inequities between developing and developed countries. The authors would like to thank anonymous reviewers and the editor for their helpful suggestions and constructive comments that contributed to enhancing the final version of the paper. See Tables 3, 4 and 5. KOF index of globalization (numbers in parentheses are the weights for each variable).